Hand-crafted diaper cake gifts for new baby girls, as fresh and pretty as the baby-to-be! A unique new baby gift to take to the hospital, and the kind of creative baby shower gift that mom will want her picture taken with. 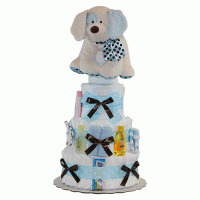 Browse thru our baby shower ideas for girls to learn more about uses for diaper cakes at baby showers. 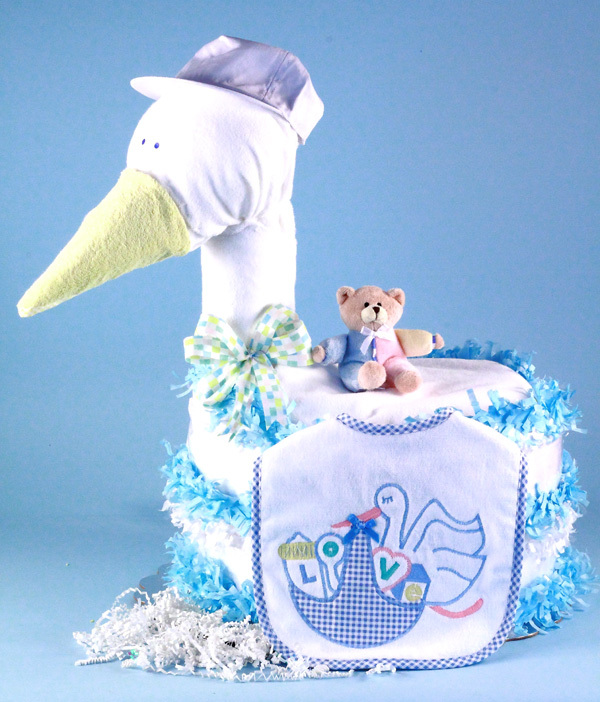 Welcome a newborn baby girl with our incredible Stork Delivers Diaper Cake. 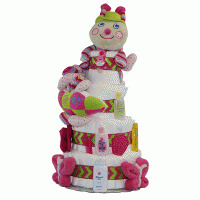 This incredibly unique diaper cake from Silly Phillie is presented with pastel pink trim, making it the perfect baby girl gift, whether at a baby shower or after birth. 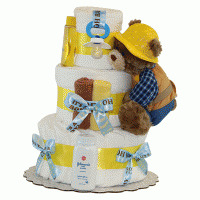 The Stork Delivers Diaper Cake is impressively large at 20" high so you'll also want to consider it as a baby shower centerpiece. These adorable diaper cakes are custom made in the USA from a long list of essential layette items, including 54 disposal diapers! Imagine the look of joy when the new parents see your bountiful gift of love! Here's the full list of ingredients: 54 newborn sized disposable diapers 30" x 30" Hooded terry towel 30" x 30" flannel receiving blanket full size terry bib with stork design embroidery (as shown) plush bear toy infant cap elegant silver lined tray gift wrapping Note: Click "view larger image" or click main image to see this gift in its proper proportions. 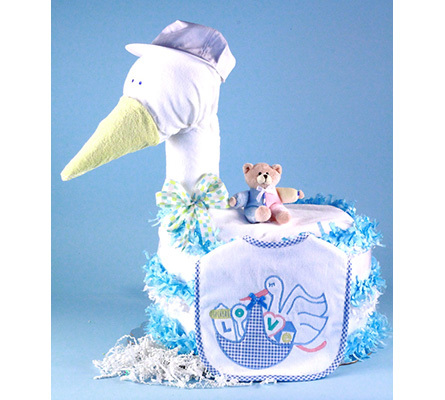 Stork Delivers Diaper Cake is also available in blue and a gender neutral maize. See photos below main image.